There are various methods to have acquired nationality according to the, ‘ley cualificada de la nacionalidad del 5 de octubre de 1995’. Becoming a citizen by descent or birth is similar to most EU countries. The most common form of citizenship is by non-native passive or active Andorran individuals with 20 years residency. They then may apply for Citizenship (Art. 11). Individuals must pass a Catalan language, Andorra history and a geography exam. 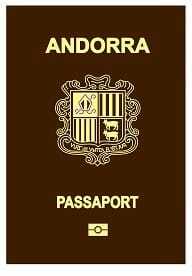 Unlike Spain, Andorra does not accept dual nationality citizenship. One must give up present nationality and passport to become a citizen. Once qualifying to being allowed to apply for citizenship they have 5 years to pass the exams. During this time, the individual must present a current nationality renunciation documents to obtain the Andorran nationality and passport. At the time of writing, the Principality’s Government looks to investigating reducing or disregard residence time length in a future bill. For minors to be educated in Andorra between 6 to 16 years old will have citizenship in 10 years of living there (Art. 11.2). A non-native Andorran with 3 years residency and who contracts marriage with an Andorran native (Art 10) is entitled to citizenship. This may be 3 years before or after the day of wedlock. An individual of foreign birth with 15 years residency and with Andorran heritage – a native citizen grandparent is entitled to citizenship. (Art. 9.2). Children of Andorran citizens born domestically (Art. 1) and in another country (Art.2) are entitled to citizenship. It takes a long time to get acquired citizenship. Care must be taken once it is achieved. It is forfeited if an individual becomes another country’s citizen. Simply, you have dual nationality, which is illegal. Individuals may not work for nor bear arms for non-domestic government.